Madrid, as every cosmopolitan city in the world, offers its visitors a large variety of good restaurants where they can enjoy a great meal. Eating tapas is the most commonly known practice in Madrid but if you are looking for a traditional Spanish meal there are numerous dishes you must try. 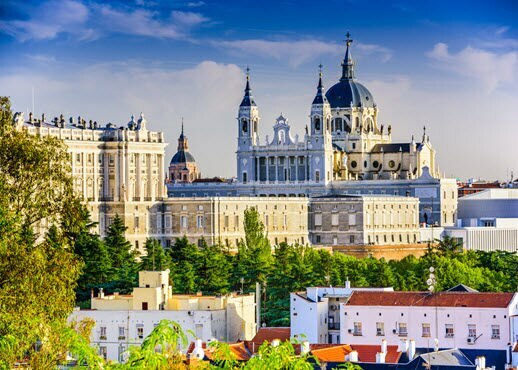 Madrid has the double distinction of being not only the capital, but also the largest city in Spain It is located on the river Manzanares, which winds its way through the center of the country. If you are considering Spain and Madrid in particular, as a holiday destination, here are a few interesting facts that will make it a whole lot easier to make up your mind. No trip to Madrid is complete without a visit to the Museo del Prado, one of the oldest and finest art collections in the world. Of course, there is an abundance of Spanish art here, but the collection also represents material from around the world. If you are like me, one of the best parts of traveling is to sample the local cuisine. I could not travel anywhere without knowing what the most famous dishes of a particular region tasted like. One dish that I have grown to love in Madrid is a hot chocolate con churros. I am a Japanese American woman: small, fairly innocent looking, usually alone, and a target for pickpockets. Choose where to stay in Madrid with this neighborhood guide. Whether near royal palaces or leafy parks, use this guide to find the right location of your Madrid hotel.